Comealongmyjourney: A New Bundle of Joy! Welcome! A New Bundle of Joy! Welcome! Well as much as I liked to say he is mine.. 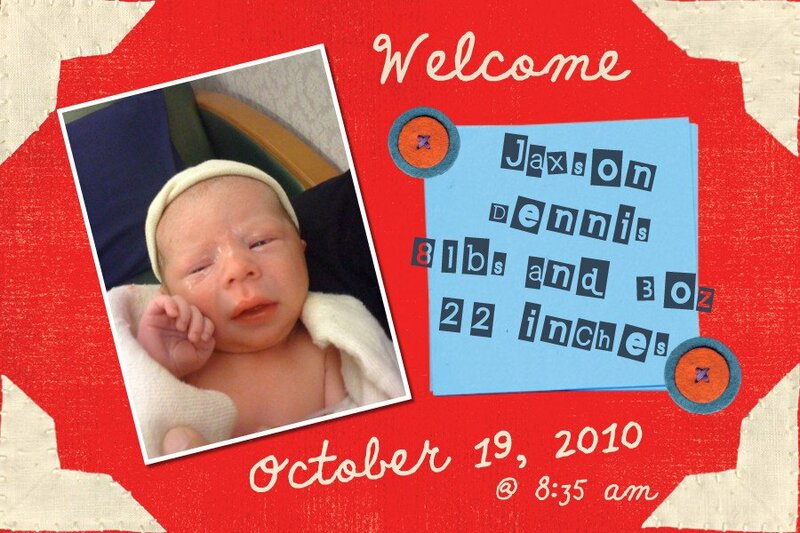 I am a proud Aunt Tee of a new baby boy, Jaxson! My sister was induced last night and is now proud parent of two! Of course times like this is when I wish I didn’t live so far away. So I will be off next week on a plane to go meet the new addition to our family! Kevin and I had a bet that Jaxson would come on the 20th. A day too soon but I am not complaining!